Although the Legislature is not in session, I feel it important to give you an update on the Hirst ruling – the flawed state Supreme Court decision from last October. You will recall the court ruled Whatcom County had failed to protect and preserve water resources under the Growth Management Act, changing how households could legally obtain permission to drill a household well in Whatcom County and other counties across the state. Negotiations are ongoing, but at this time, there does not appear to be an agreement happening anytime soon. The biggest news pertaining to Hirst that recently emerged is the results of a study showing the far-reaching implications of the court's decision. The Building Industry Association of Washington (BIAW) commissioned HR2 Research and Analytics to do the study. $4.59 billion in losses to the construction industry, annually. You can find the full study commissioned by BIAW here. Without a Hirst solution, we are facing major financial impacts. It puts this year's $4 billion capital budget plan in perspective when you are staring at almost $7 billion a year lost to Washington's economy. The potential $37 billion lost in property value is also alarming. The effects of the Hirst decision are already being felt on our banking, building and real estate industries. In early August, Washington Federal said it will not be lending on properties in the state of Washington that have had wells drilled after Oct. 6, 2016. You can read more by clicking “Citing Hirst, lender limits real estate loans” from the Columbia Basin Herald. I remain hopeful an agreement is reached. There is support for a fix. As I have shared in previous email updates, the Senate passed Sen. Judy Warnick's Hirst bill four times. Unfortunately, we unable to bring the bill to the House floor, even though I am confident it would have passed if we had been given the opportunity to vote on it. 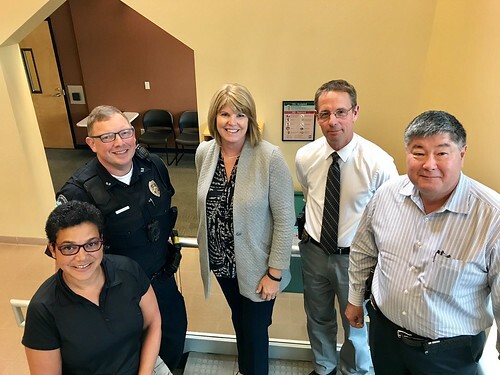 Before a recent ride-along with the Bellingham Police Department I received a warm welcome from the Command Staff – Chief Cook, Deputy Chiefs Simon and Doll and my ride-along host Sgt. James (in uniform). Several hours in a police cruiser and suited up in a body armor vest was an eye-opening experience. I saw firsthand the daily challenges our law enforcement officers face. 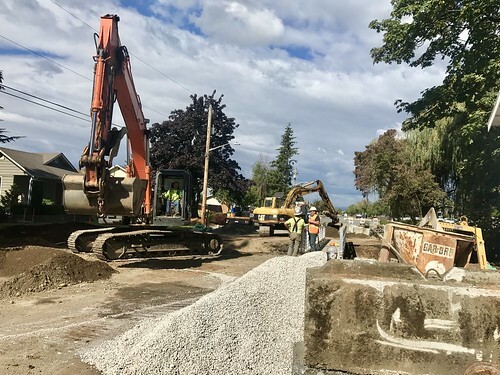 The repair of Lynden's North 8th Street is underway and should be completed by the end of October. I'm pleased we could secure the emergency funds in this year's transportation budget to repair this washout after last winter's severe snowstorms. 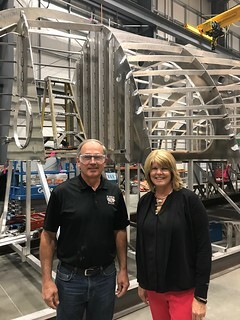 All American Marine is a local manufacturing company with several boats under construction, including a massive new ship for Argosy Cruises. This locally-owned company recently moved into a new state of the art facility and is bringing great family-wage jobs to Whatcom County. With students back in school this fall, I want to remind you of a great opportunity students have within the Washington State Legislature, and that is to serve in the House Page Program. Every year I sponsor several pages, and without a doubt, the experience of spending a week in Olympia becomes a lifetime highlight for them! Pages must be between the ages of 14-16. They must get permission from their parents and school. Pages are also paid $35 a day. You can access the page application here. If you have any questions, please do not hesitate to contact my Olympia office. If you have any questions, concerns or comments about legislation or state issues, I would love to hear from you. I am available to speak or meet with groups, organizations and tour schools or facilities. I look forward to seeing you soon.